Previously when problems arose in the workplace, the standard response was for someone to look at the problem, create a solution, and enact it. The issue with that approach, though, is that the resolution represents only one person’s viewpoint. Today, we have grown to a place where it is not only acceptable but encouraged to instead tackle problems collaboratively to arrive at the best solution. Collaborative problem-solving skills do not grow on their own; it takes practice to get to a place where collaboration feels natural. 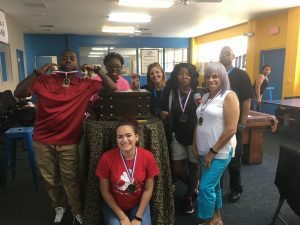 That is where team building problem-solving activities come into play and here are the top three reasons you should make an investment in Escape Room Team Building activities for your staff! 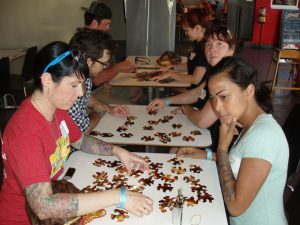 Escape Room Team Building Activity – Work or Play? The desired effect of a successful escape room team building activity is a team that works together. Sometimes that can be achieved through traditional team building activities, but sometimes you need to go outside of the box. That is where escape rooms come into play! Having really hit their stride recently, escape rooms have become a thriving social activity. What events like the Pirates Escape Adventure do is bring that level of fun and excitement into a controlled environment where participants are forced to collaborate successfully in order to “win.” Taking a page from someone’s social calendar and incorporating a similar event into a workplace activity not only camouflages the work aspect, but it drives meaningful participation from a crowd that may normally hesitate to jump in. Who says a collaboration-building activity can’t be both work and play?? Puzzles and Challenges and Results…Oh, My! You may be sold on the idea of an escape room to drive collaboration, but keep in mind that not just anyone will meet your goals. 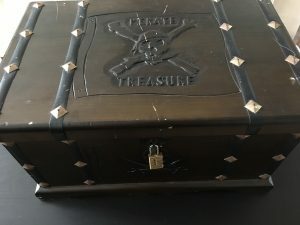 The difference between a typical escape room and the Pirates Escape Adventure is that the former is dedicated solely to fun while the latter is focused on garnering results through fun. The Pirates Escape Adventure follows the format of an escape room; however, it also incorporates unusual puzzles and challenges that require effective communication to solve. This is not an activity that one person can complete on their own; it is an interactive adventure that requires working together to reach success. It is fun, it is memorable, and it increases collaboration! If you want your team to change, you need to change the way you engage your team. Many companies are still living with an expired mindset when it comes to reaching their employees, but the workforce has changed significantly since many current executives began their careers. The majority of employees now have a college education – exposing them to a philosophical view of the workplace – and, in addition, they were raised in a technology-driven era that has broadened their view of the world. Team meetings and town halls, as a result, have become obsolete avenues for getting messages across. 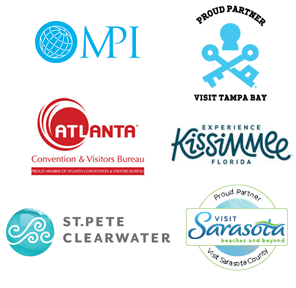 Engaging activities and problem-solving team building games have become the new norm which is why something like the Pirates Escape Adventure has the ability to effect real change – it is a new concept that demonstrates a willingness to be current with respect to employees’ tastes. When you think about it, there is really no way to lose when you foster collaboration on your team through a team building game that requires participants to work together. And the Pirates Escape Adventure is the perfect cost-effective and fun event to choose. So what are you waiting for, matey? !